Winning on Instagram might feel like something you have to hire an entire PR team to achieve. There are loads of great tools and simple wins that you can start right away to win engagement on Instagram. Now you might be thinking that as a creative you don’t have a need to use Instagram for business, but I wanted to tell you that it can drive traffic to your website, help you to make sales and get people to attend your events. You can even network on it too! I used to have a different account for Instagram when I worked in the film industry. 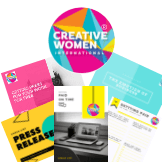 I have switched to a Creative Women International account now and am in the process of learning all the ‘tricks’ to help build the site into an amazing space where I can chat to you and help you make connections. It’s tiny at the moment, so I thought this was a fun time to share my knowledge with you so that we can grow together. The Instagram algorithm– This has been a hot topic since it changed in 2016 and has gone through another change in 2018. There are certain things that it now looks for, which you should be aware of to make sure that your posts are seen.Interest– How much your post has comments & likes/ will be relevant to your audience.Time of day– New content is shown before old content. So posts from the day before won’t appear before posts sent an hour ago. Relationship– Are they people you engage with regularly, or are they part of your family/ friends? Instagram will learn this from your previous actions. So how would you make this work for you? I would say you need to create content that you are excited about and know that your followers would love as well. Make sure that you are posting at a time that they are likely to be viewing Instagram- so not in the middle of the night if you are talking to the same time zone for example! And for relationships- you need to make sure that people want to engage with your content by asking them questions or calls to action (like clicking twice if they agree, or tagging a friend who would love this too). Think about how you yourself use the app and what excites you. Borrowing ideas can help you to get started. 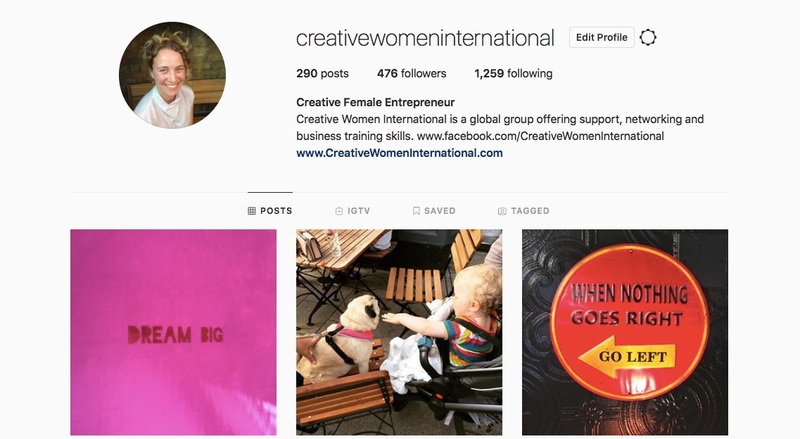 Stories– You might have seen stories appearing in the header of both Instagram and Facebook. These are a great way to engage with your audience and avoid getting lost in the noise of the feed as they appear at the top of the page.You can also have some fun showing them behind the scenes. Hashtags #– Love or hate them, they are a valuable tool for growing your audience. You can add them to stories, your photographs but also your bio at the top of your home page. It is the way that people can find you, and you find others like you.You can add 10 to stories and 30 to your post. Hit return and then a fullstop/period 5 times to make them appear after your description. This cleans it up for your viewers.Top tip– you can save your favourite Hashtags in notes on your phone, then copy and paste them into a post to save you time. There is loads to learn about Hashtags I have found- so this might take a whole article another time! Scheduling– You might not want to be on your phone all the time, or are working with an international audience, so don’t want to get up in the small hours of the morning to post. Finally here are some tools that I like to use. VSCO- This is a great app that you can use to edit photos from your phone. 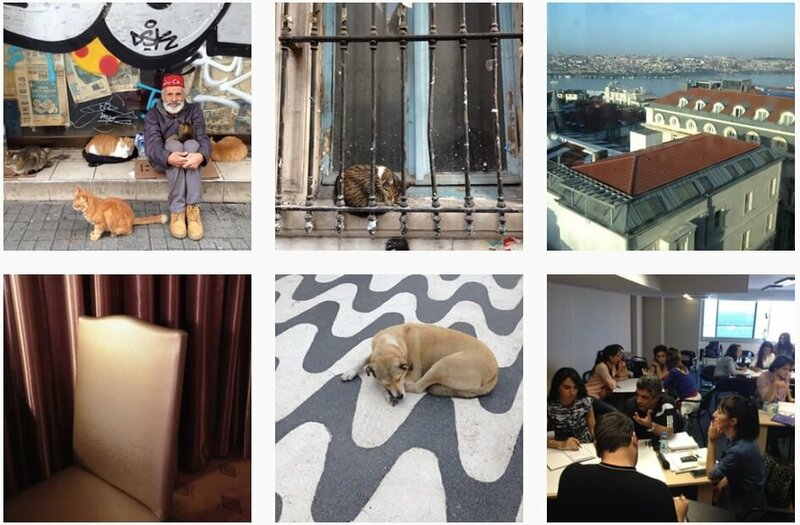 Web.stagram– Lets you search for Hashtags on Instagram. Typorama– Lets you add text onto images perfect for Instagram. Let me know in the comments below what is the one thing you would like to master on Instagram.